I think I mention a lot of Australian brands on this blog, and it comes as a surprise to me every time I think about how many I support. I do try to support local businesses wherever I can, but I don't make it a huge part of my decisions when it comes to shopping. I love international brands just as much as the next makeup fanatic, but it's not always practical to get them when something gets in the way. The exchange rate from USD to AUD, for one, is ridiculous these days, and as a result, I really limit my online spending unless there's a massive sale and the shipping rate is cheap. GBP to AUD isn't too bad, but it's still steep when you're trying to budget, and the postage from the UK usually costs a lot. Two, waiting for the mail to arrive is a bit of a pain in the arse, especially when tracking wasn't offered and you're paranoid that someone will steal the mail right from your doorstep. Thirdly, Australian drugstores and department stores do not stock all of the brands that I know and love, such as Milani, Wet 'n' Wild, Makeup Revolution (and their sister brands) and most of e.l.f., and so I need to look for alternatives. Especially when it comes to foundations and concealers. This is where locally-owned brands come into the equation. They're easy to find, affordable and a lot of them are cruelty-free, which is a big plus in my books. Many of them are found at Priceline, my favourite drugstore, while some others can be sourced from Big W, Kmart, Myer and Target. I have some firm favourites and they're always the ones I look to on a regular basis when I need something quickly. Australis is a no-brainer. It's been around for a couple of decades and has always been a popular brand here. It's a favourite among the younger generations, and more often than not, you'll find teenagers here keeping a few pieces in their school lockers. 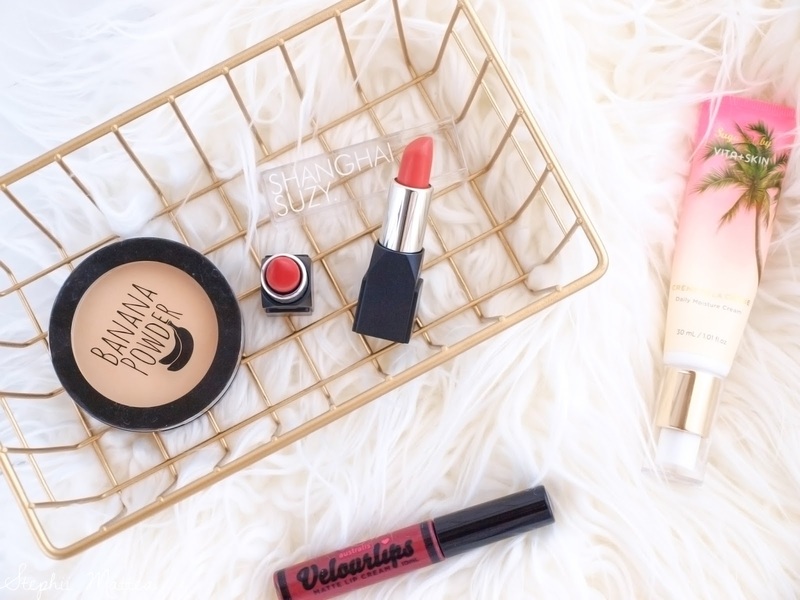 My favourite products are their Ready, Set, Go Finishing Powder, their Velourlips Liquid Lipsticks, and their Banana Powder. I don't actually head straight for Australis first whenever I visit Priceline because my attentions are always drawn by Essence. I think the reason for this is because over the years they've steadily increased in price and I always wait for the sales to justify my purchases. 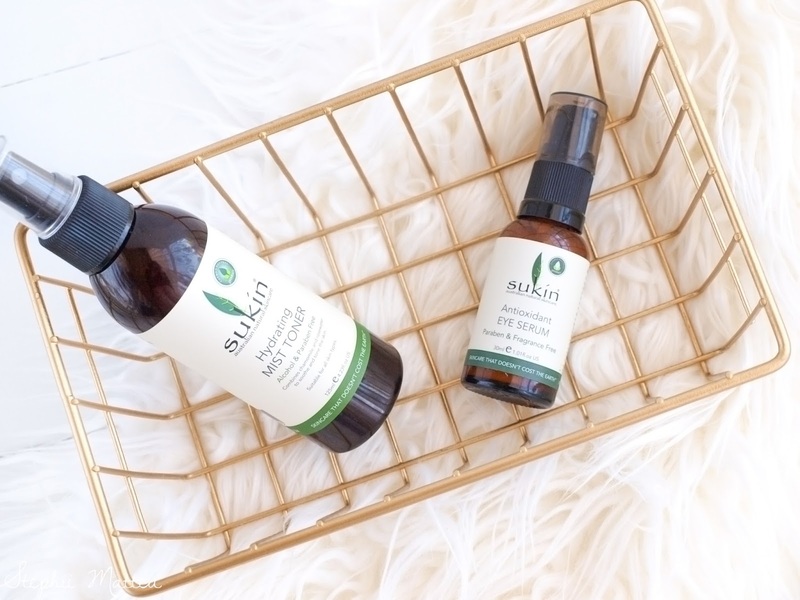 Sukin has actually grown to become one of my firm favourites over the past year, as I find exactly what skincare products work best for me. About half of my skincare routine is comprised of Sukin, and it's no wonder why. Not only are they affordable, vegan, cruelty-free, easily to find and reliable, but a lot of their products contain no nasties like parabens and alcohols. They also have the only Micellar Water that doesn't react with my skin. I also use their Antioxidant Eye Serum, their Sensitive Skin Cleansing Lotion and their Hydrating Mist Toner. 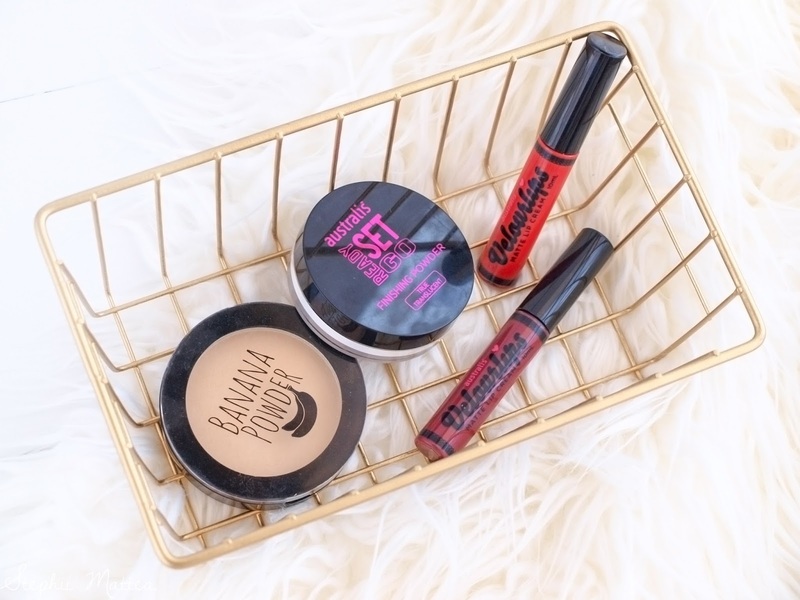 A recent discovery of mine, SugarBaby Beauty is both skincare- and makeup-centric, though they started out as a brand that produced body products such as fake tans and body lotions. I haven't had the opportunity to buy any of their makeup because they are only available at Myer and I don't have one close to me. It also doesn't help that they have a pretty small selection of products to choose from. I adore their Vita+Skin skincare range, especially their Super Serum which my skin just loves! I'm not exactly crazy about the rollerball perfumes because according to Sean, the scents don't last long, even if they smell great. Okay, so Shanghai Suzy isn't as well known among Australians, but it is definitely worth mentioning for how great it is. 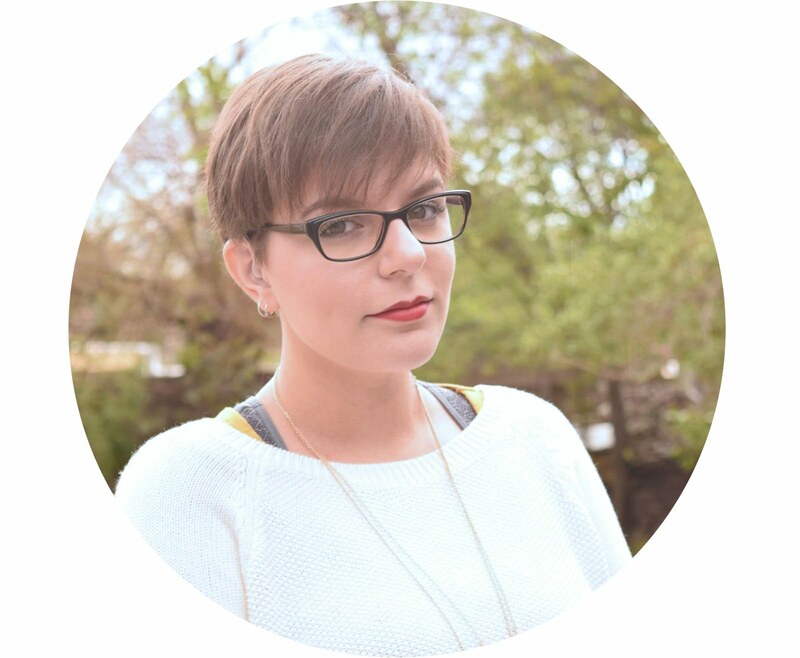 It's a Melbourne-based brand of lipsticks that are affordable yet so pigmented, vegan, cruelty-free and on-trend. They change up the colours twice a year, and sometimes they'll bring back old favourites. 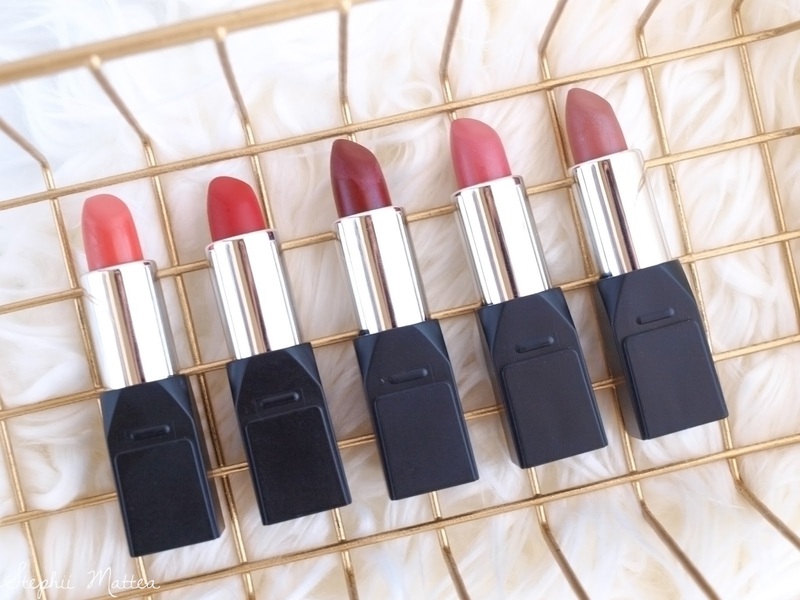 I've yet to try any shades from their latest collection, but my favourite is Miss Cassandra Peony (second from the right), followed by Miss Tanielle Desert Rose (far right) and Miss Victorine Classic Red (second from the left). I'd like to try Miss Sally Watermelon and Miss Simone Baby Coral. I contemplated putting Chi Chi on this list, but the fact is, I haven't used many of their products to form a complete opinion on them as a brand. I've only ever used their perfumes, which is a moot point considering my horrific sense of smell, and an eyeshadow palette that I love. I plan on trying a few more of their products over the course of this year, but for now, it'll have to wait. Other Australian brands that I've been trying out/liked are Natio and Face of Australia. DownUnder Cosmetics are great value for money, and their pigments are insane, but the amount of product you get vs the price is not feasible when you're just an enthusiast, not an artist, and you don't have the space to store 20+ massive pots. I'm aware some of you might not be able to access these brands locally, but what are some of your favourite local brands?